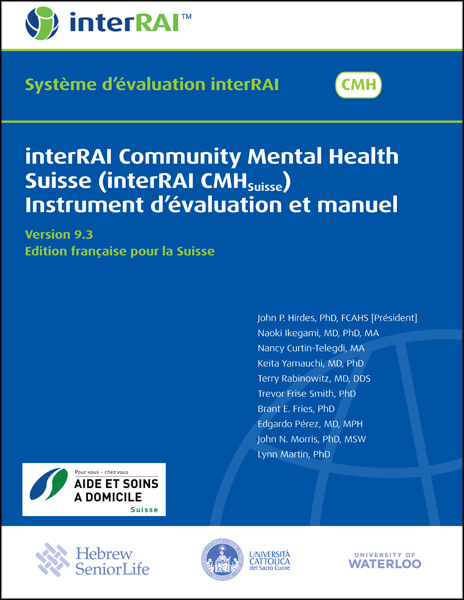 The Swiss French edition of "interRAI Community Mental Health Suisse (interRAI CMHSuisse) Instrument d’évaluation et manuel" is translated from the English "interRAI Community Mental Health (CMH) Assessment Form and User's Manual." This assessment system complements the interRAI Mental Health and Home Care systems. The CMH instrument is designed to be used for community-based individuals with a broad range of mental and physical health needs. The target population is all adults aged 18 and over in community mental health settings, including those with dual diagnoses. This book contains introductory material, an item-by-item guide to completing the assessment form, and the assessment form itself. The Swiss French Edition has been customized for Switzerland, and the French language used in this publication is native to Switzerland.